It was a quiet Friday night. Almost everyone was out attending various activities. John-Keith and I were home alone and decided to spend the evening watching a movie. 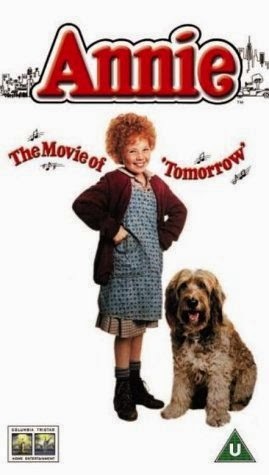 We chose the much-loved classic, Annie. Annie believed that some day her mother and father would return for her and that hope is what kept her going in the midst of very difficult times. Jesus’ disciples had watched their Master die on a Roman cross, and then experienced His glorious resurrection. For forty days He appeared to them giving them convincing proofs that He truly was alive and speaking of the things concerning the Kingdom of God. He reminded them of all He had told them before His death, how when He returned to His Father in heaven, they would receive a helper, the Holy Spirit. As is typical for humans, the disciples wanted to know the exact timing of God’s plan for restoring the kingdom to Israel. Jesus answered, “It is not for you to know times or epochs which the Father has fixed by His own authority.” I believe God, who is not beholden to the framework of time in the way we are, withheld this information as a gracious act. If these men had known all the years that would go by before Christ’s return, it may have been disheartening. All they needed to know was that they would receive the power they needed when the Holy Spirit came upon them. This power would enable them to be witnesses to the fact of Christ’s death and resurrection and the salvation made available to sinful men because of God’s mercy. Their testimony would spread throughout Jerusalem, Judea, and Samaria, and all the way to the uttermost parts of the earth. With the power that the Holy Spirit gave them and the hope of Christ’s return, these men, and all believers since, have been able to endure life in a sin-filled world with patience and endurance. As John-Keith and I continued to watch the story of the homeless Annie, we realized that her hope that her parents would return was misplaced. Unbeknownst to her they had died and she really was an orphan. Praise God this is not true for us as believers. Christ truly is alive and will return just as He said He would. This certain hope is what keeps us going through trials and difficulties. It is what keeps us telling the story of salvation that will bless the world. It is what fills our hearts with joy and longing for our true home in heaven. The story of Annie ends well. She finally finds someone to “call her baby” and give her a home in the rich and influential person of Daddy Warbucks – not exactly what she dreamed of, but much much better. When you are struggling with disappointments and life isn’t what you had hoped. Keep in mind that your hope of Christ’s return is certain. No eye has seen nor ear has heard what God has prepared for those who love Him (1 Cor. 2:9). While you are waiting share the message of God’s salvation, through the power of the Holy Spirit, with all who are around you. And keep looking to the skies because even though we don’t know exactly when, the Son will come out tomorrow!